Polaroid Corporation awarded as the leader in consumer electronics is an American based Company that was founded in 1937 were the world’s first instant camera manufacturers. The company headquarters is located in Minnetonka, Minnesota, US, is best known for pioneering instant photography. The globally trusted brand for over 75 years manufactures and markets products such as Cameras and Camcorders, Camera Accessories, Printers and its Accessories, Audio Equipments, Tablets, Computer Tablet Accessories, Mobile applications, Polaroid Fotobar, Polaroid Classic. The company also sells its product through online store via its website PolaroidStore.com which is owned and operated by eAccess Solution. There are currently 0 consumer reviews about Polaroid Corporation available. Share your review. 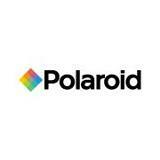 Please take a note that you are about to post a public review about Polaroid Corporation corporate office on CorporateOffice.com. This review will be public, so please do not post any of your personal information on this website. If you would like to contact the corporate offices of Polaroid Corporation, please use their contact information such as their phone number, website, and address listed above to contact them. However, sometimes staff from Polaroid Corporation headquarters do read the reviews on this website.